I’m really enjoying this book, it’s such a refreshingly different read and is one I love getting back to. I’ve had this on my TBR for a while now and finally picked it up yesterday. It’s not quite what I was expecting but I love the writing so it’s keeping me hooked. I bought this just the other day and started reading it right away. I’m not enjoying it quite as much as I hoped I would but it is interesting to read more about how rudeness spreads, it does make you think. I’ve been reading this on and off for the last couple of weeks and am enjoying it. It’s a book that I would recommend for teenagers, and parents of teenagers. I wish it had existed when I was young. I devoured this book in one sitting this week, it was such a thrilling read. I’ve already reviewed it so you can find out more about what I thought here. This was one of my picks for #20BooksOfSummer and I really enjoyed reading it. I’m a big fan of Louise Candlish’s writing anyway and this book was a great read. I’ve had this book on my TBR since it was published and I’ve held off reading it because I thought it might be a difficult read for me. I’m so glad that I finally picked it up though as I adored the writing and found it quite a cathartic read. This is my next pick from my #20BooksOfSummer TBR and I am so looking forward to reading this one. I have a feeling it’s going to be a book that I adore! I was lucky enough to get an ARC of this from NetGalley so I’m really keen to read it as I’ve loved all of Louise Jensen’s books so far and this one sounds excellent! I’m on the blog tour for the third book in this series next month and have just realised that I haven’t read the second book yet. I do like to read books in order where I can so I’m squeezing this book in this week. I very much enjoyed the first book so I’m looking forward to read this one! My latest #bookhaul… Stacking the Shelves (20 Jan)! Today on my blog I’m stacking the shelves with all the books I’ve acquired since Christmas so this my three-week book haul and most of these books were included in my TBR update in my last weekly wrap-up so my TBR hasn’t got out of control! I’m a big fan of Lionel Shriver so when I spotted this novella on Amazon at the start of the month I couldn’t resist downloading it. I’m hoping to make time to read this soon, and with it being short it should be fairly easy to squeeze in between other books. When Weston Babansky receives an extravagant engagement present from his best friend (and old flame) Jillian Frisk, he doesn’t quite know what to make of it – or how to get it past his fiancée. Especially as it’s a massive, handmade, intensely personal sculpture that they’d have to live with forever. I already have the first four books in this series on my TBR and it was in my plan to start reading the series this year so when the other books in the series went on offer earlier this month I couldn’t resist snapping them up. I’ve seen lots of good reviews of this book on blogs that I enjoy so I couldn’t resist buying a copy. It does sound like such a compulsive read and I hope to get to it soon. I was super excited to receive a surprise copy of this book in the post just before Christmas as I’m a huge Louise Candlish fan! It’s a lovely proof and I’m really looking forward to reading this. I requested this book on bookbridgr quite a while ago but had forgotten about it so it was a lovely suprise when this gorgeous finished copy arrived in the post over Christmas. I’m planning to read this book soon and will be reviewing it on my blog. A hugely funny, searingly honest comedy about to expect when you’re not expecting. This book was a lovely, and very kind, gift from the publisher and I was grateful beyond words as I love Louise Voss’ writing. I bought her first book, To Be Someone, when it was originally published and it remains one of my favourite books. I’ve been a fan ever since do I’m excited to read this one! This was lovely book post from Orenda books and I’m very much looking forward to reading this. I’ve enjoyed other books by the author and this one sounds like it could be his best yet! This gorgeous book sounds amazing and I’m thrilled to have received a copy in the post last week. This book is so beautiful, my photo in no way does it any justice, and I was very happy to receive a surprise copy in the post last week. It sounds like it’s going to be right up my street and I’m looking forward to curling up one afternoon soon and devouring it! People aren’t sure what to make of Susan Green – a prickly independent woman, who has everything just the way she wants it and who certainly has no need for messy emotional relationships. Family and colleagues find her stand-offish and hard to understand, but Susan makes perfect sense to herself, and that’s all she needs. At forty-five, she thinks her life is perfect, as long as she avoids her feckless brother, Edward – a safe distance away in Birmingham. She has a London flat which is ideal for one; a job that suits her passion for logic; and a personal arrangement providing cultural and other, more intimate, benefits. This book was such a surprise when it arrived and I can’t even put into words how excited I was when I opened it. I’d already put this book on my wish list as it sounds amazing and I’m really looking forward to reading this. I’ve had this book on my wish list for ages but it was always unavailable for purchase so when I spotted it on NetGalley recently I immediately requested it. I’ve already read this one and it was a really powerful graphic non-fiction book. I’ll be reviewing this one soon but in the meantime I definitely recommend this. I enjoyed Elizabeth is Missing by this author and so when I saw she had a new book coming out I couldn’t resist requesting it on NetGalley. I was really happy to get approved for it and am looking forward to reading it a little bit nearer publication date. Jen’s fifteen-year-old daughter goes missing for four agonizing days. When Lana is found, unharmed, in the middle of the desolate countryside, everyone thinks the worst is over. But Lana refuses to tell anyone what happened, and police draw a blank. The once-happy, loving family return to London where things start to fall apart. Lana begins acting strangely: making secretive phone calls, hiding books under her bed, sleeping with the light on. I’m a massive fan of C.L. Taylor so there was no way I could resist requesting this book! It sounds like such a great premise so I don’t think it’ll be long before I read this one. The lovely author contacted me to ask if I’d like to review this book and as the synopsis sounded so good I immediately said yes please. The book’s due out in March so I’m going to wait a little while longer before I start this one but I am really looking forward to it. I’ve really enjoyed previous novels by this author so I immediately went and downloaded it as soon as Bookouture tweeted that it was available. I’m certain that this won’t be on my TBR pile for very long! I’ve been so keen to get my hands on a copy of this book and yet somehow missed that I’m auto-approved for the publisher on NetGalley and could have downloaded a copy ages ago! Ah well, I’m glad I’ve now spotted it and am going to be reading this very, very soon! So, that’s all of my new books from the past month (aside from my Christmas book haul, which you can find here if you’d like to see it). Have you bought any new books recently? 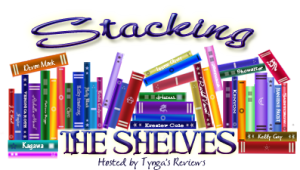 Tell me all in the comments below, or if you have a stacking the shelves post on your blog feel free to post the link below too. It’s summer, and for teachers Ed and Natalie Steele this means six weeks off work with their young daughter Molly. Their lives are predictable and uncomplicated — or at least they were until they meet the Faulkners. Suddenly, glamorous Lara Faulkner, a former actress leading an eccentrically lavish lifestyle, is taking Natalie under her wing and the stability of summer takes an exciting turn. But are there hidden motives behind this new friendship? And when the end-of-summer party at the lido is cut short by a blackout, Natalie realizes that she’s been kept in the dark all along. This novel has such a stunning cover that immediately made me want to pick it up and start reading, and once I started this book I didn’t want to put it down! Natalie and Ed are happily married with a teenage daughter, Molly. They have a quiet, steady life and have fallen into an easy rhythm within their family unit whereby their lives run very smoothly. The couple are a bit too earnest at times and while this grated on me a bit in the beginning, I came to understand that it was important for the story that the reader really understands how Ed and Natalie view things. Natalie, in particular, is influenced by her good friend’s opinion of her and has often turned to her for advice over the years. Natalie is a very over-protective mum and seems to need reassurance and guidance from her long-standing friend. Molly is aquaphobic after an incident in a pool when she was younger but Natalie seems to have a tight rein on her daughter at all times, not just when she is around water. One hot summer the local lido re-opens thanks to a campaign by the glamorous Lara Faulkner and Natalie immediately feels drawn to her. The two quickly become friends and Natalie soon begins to imitate Lara and to lose all sense of herself. She spends more and more time at the Lido with her new friend and basks in the attention she gets from being there with Lara. Her relationship with Ed begins to show strain but by this point Natalie is too intoxicated by Lara to care too much. The stifling atmosphere in the book as the heat rises is so well written. I was reading this book on a cold, dark and rainy day but I could sense the heat emanating from the pages! It gave this book such a claustrophobic feel, and made for a great catalyst for Natalie to temporarily lose who she really was. There is a simmering tension running throughout this book. The novel goes to and fro in time, mainly throughout the course of one summer in the present day, which really adds to this building sense of foreboding as we gradually learn more about Natalie and her past. I loved how the strands of time built up to form a picture of what led these characters to where they ended up. There are a few chapters mixed in from another hot summer in 1985 when Natalie was a teenager and we slowly learn about what she and her then best friend got up to. It gives a real insight into how Natalie came to be the person she is as an adult and perhaps as to why she is so protective of her daughter. There is tension in these flashback chapters as you wonder how much it relates to the present day; it is apparent to the reader quite early on in this novel that there are secrets being kept by more than one person and that things are slowly building to a big conclusion. The final acts of this novel are so good, and while not everything that happened was a shock to me, it was all so well done that I was still on the edge of my seat. I rated this novel 4.5 out of 5 and highly recommend it. This book will make a perfect beach read – just make sure you start it when you have an empty day ahead of you as once started you will struggle to put it down! The Swimming Pool is due to be published on 5th May 2016 in the UK. I received a copy of The Swimming Pool from LoveReading in exchange for an honest review. (The review seen here is a longer version of the one I submitted to LoveReading). I’m kind of cheating a little in putting this novel in my ‘what I’m reading now’ section as I have only read the first chapter so far. I loved the prequel novella that I finished earlier though and couldn’t resist going straight on to this! This book was offered to me for review and I couldn’t resist after I read the synopsis. I’ve only read a few chapters so far but I’m really enjoying it. I really hope that my body begins to settle down on my new meds very soon so that I can get back to reading at my normal rate. I can’t wait to get back to this book, it’s one to read in chunks and be completely engrossed in. I literally only have a few chapters left to read of this fab novel so will definitely finish it soon – had I not have had a rough week health-wise I would have finished it by now. It’s so good though that I’ve kept on thinking about the characters even when I haven’t been up to reading about them and that’s always the sign of a great novel. I’ve ground to a halt on this book with not feeling well as my brain just can’t seem to take in much info but I hope to get back to it soon as it is a really interesting read. I picked this up one night this week and couldn’t put it down, it’s a lovely novella about a couple falling in love. I’ve now started the novel which follows on from this and am interested to see where the story picks up years later. I devoured this novel, it’s such an intense read that hooks you in and doesn’t let go. I’ve just reviewed it for LoveReading and will be sharing my review on my blog in the next few days so keep an eye out for that. I loved it though and recommend that you pre-order it for your summer read! I enjoyed this novel but it wasn’t quite as good as I’d hoped it might be. I’ve already reviewed this and you can read my review by here. I was offered the chance to review this book by the publisher and I can’t wait to start reading it. It sounds like a fab read – and I adore the gorgeous cover! I’ve had a review copy of this book for ages but just haven’t got around to reading it as yet. It’s now release week and I keep seeing people talking about it so I feel drawn to reading it now. I was thrilled to get the chance to review this book before it’s released and I can’t wait to get started. I’ve read a couple of Samantha Hayes’ other novels (before I was a book blogger) and really enjoyed them so I have high hopes for this one! Four months ago, Rick went out to buy a newspaper. He never came back. His wife, Gina, is struggling to deal with her loss, and her daughter’s mood swings are getting worse. Then she receives a phone call from a woman at a country hotel, confirming details of a booking Rick made before he vanished. Desperate to find out more about his disappearance, Gina and her daughter take the trip. But there is something very strange about the hotel, and the family that run it. Soon Gina is unsure that Rick even made the booking – but one thing is clear: both mother and daughter are in serious danger. Don’t forget to check out my giveaway post from yesterday (here) – I’m offering you the chance to win a HB copy of The One-in-a-Million Boy by Monica Wood. The giveaway is international so is open to everyone.